Earth day is just around the corner, what better way to celebrate than by getting crafty using one of our most abundant natural resources...the sun. To make solar crayons you need just a few things. a metal muffin tin, crayon shavings & aluminum foil. Have your little one sort through their crayons separating the colors. We chose blue and green for ours, to look more like the Earth. Use a knife to cut crayons into small pieces. Have your little one put them into groups of 10. Using 7 blue and 3 green. Discuss with your child how our Earth is comprised of 70% water and 30% land. Depending on how old your children are this is a great lesson on understanding fractions and part whole relationships. You can also practice counting by 10's with your little ones. This is one of my daughters favorite ways to count. Place your groups of 10 into the muffin trays (it help if you spray pans with Pam or use paper liners for easy removal, cover with aluminum foil and set in a hot sunny spot outside on the asphalt. Let the sun do the rest. Once the crayons have melted completely take them inside and let them cool. Pop out and let your children's imagination take over. 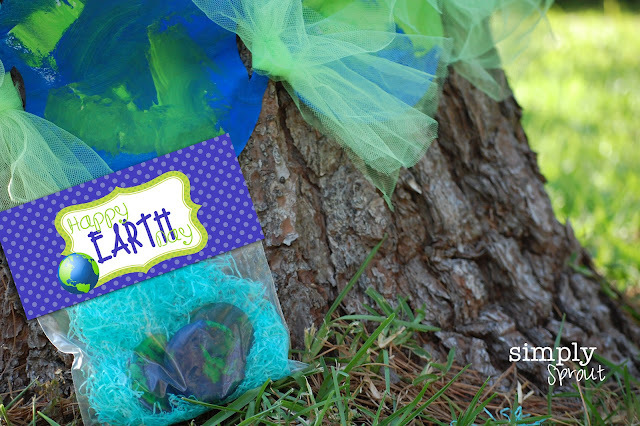 These make great Earth Day treats, for home or school. 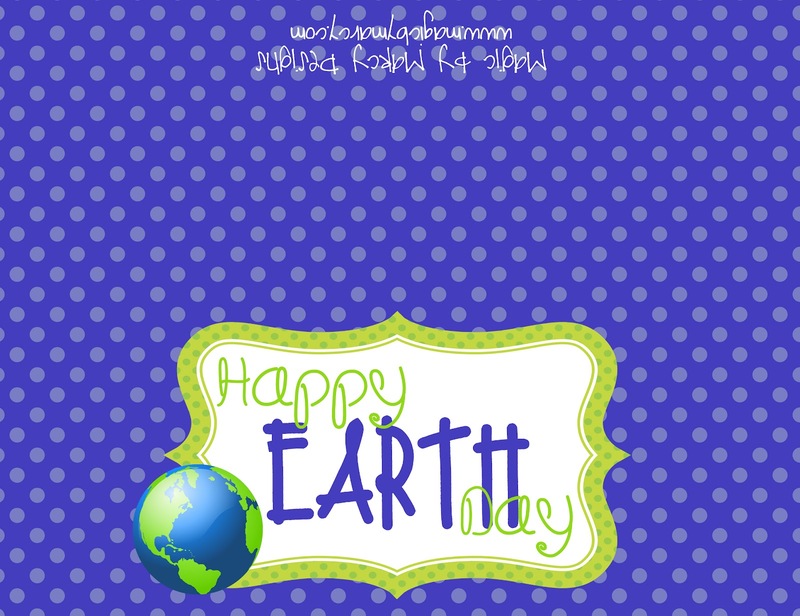 Teachers be sure to visit my Teachers Pay Teachers store for an activity sheet for your students that incorporates science, math and social studies questions as well as step by step instructions for making solar Earth day crayons. 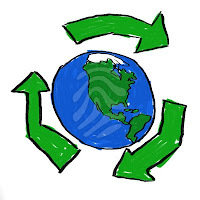 Reduce --- Reuse--- & Recycle! Get your free download here available for the next 48 hours. Use it as a bag topper for your Earth Day Crayons. To make the Earth Day banner shown in the pictures above just use some paper coffee filters. Have your little one use blue and green paint to represent the land and water. Remind your little one that our Earth is covered with 70% water and 30% land. Once dry punch holes in the side and attach with ribbon or tuelle. We hung our banner on our favorite tree and had a picnic. I can't think of a better way to celebrate Earth day!